Many a times, I have received requests from unknown aspirants through Facebook or Linkedin as to how to get started his/her career to Salesforce, or how to transform their career to Salesforce. Very recently, two of my colleagues who are working on Mainframe for quite a long time and trying to learn Salesforce from me and I am guiding them on day-to-day basis. I thought that this guidance could be good start for others to follow. The following content is indicative and may vary from person to person and based on their existing skill set. 10. Complete Superbadges based on Role that you are going to perform. 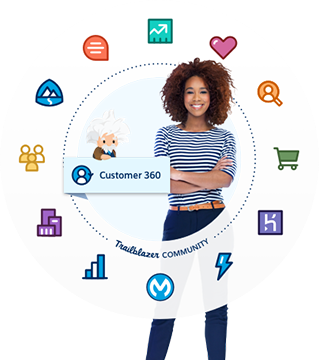 Here is the link: Trailhead Superbadges. If you complete those superbadges then you should definitely work on any real-life projects. 11. Have a look into my post Effective Salesforce certification path with preparation time saving options which will guide you about Salesforce certifications based on the roles. 13. Prepare your Salesforce based resume and try to get into Salesforce practice at your company or jobs. Hope above approach will help you. For any additional input, please post as comments and I will guide you. Also, create a twitter account if you do not have already and follow @Salesforce, @Trailhead, @SalesforceDevs, @SalesforceAdmns, Salesforce MVPs, Salesforce success community members, and any member who are passionate about Salesforce. You will really get motivated seeing others' posts and progress. Be sure to post your progress at twitter and encourage others to learn. Both my colleagues, completed 100 trailheads within 6 weeks achieving Ranger status and are in a learning path till today. Here are noticeable achievements recognized by @Trailhead. Many congratulations to both of them!